First damaged in September, 1940, the Three Tuns, in Viscount Street, Bridgewater Square, disappeared when Hitler laid waste with fire-bombs to the wholesale hosiery, drapery, and millinery area of the City of London in December, 1940. A neighbour was the tall packing warehouse of Osborne Folkes and Company, carrying on elsewhere; and opposite stood the New Jewin Welsh Chapel, mother church of London Presbyterians, also destroyed. 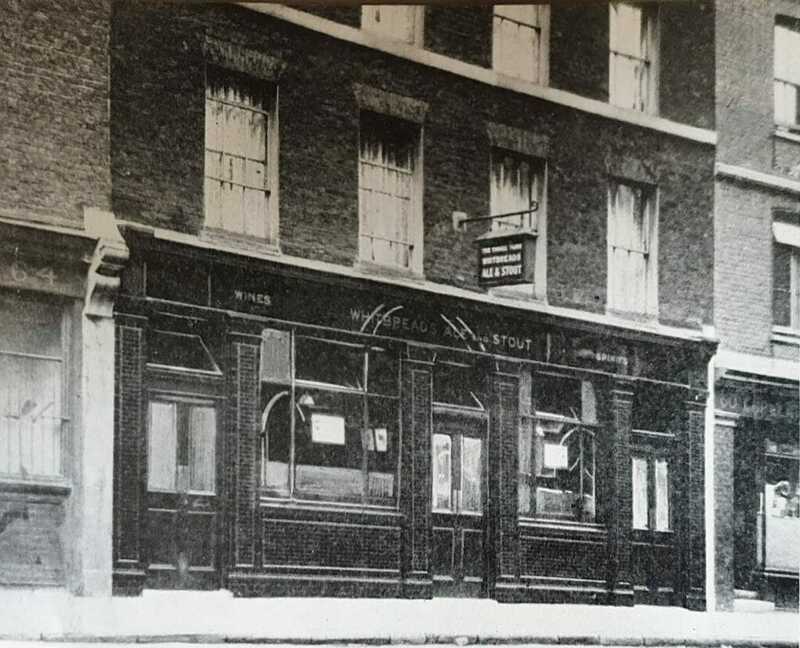 Mrs. Motteram, who had presided at the Three Tuns since 1910 (the union of hansom and four-wheeler cabmen used to meet here), kept her windows bright. The arches of the Welsh chapel can be seen reflected in them. This area is now almost unrecognisable and known at The Barbican development. The Barbican Estate is a residential estate that was built between the 1960s and the 1980s and today is densely populated by financial institutions. Mr Frederick George Motteram presided over The Three Tuns P.H., until his death on 21st December when his widow Ada Caroline Motteram née Gollar took over.